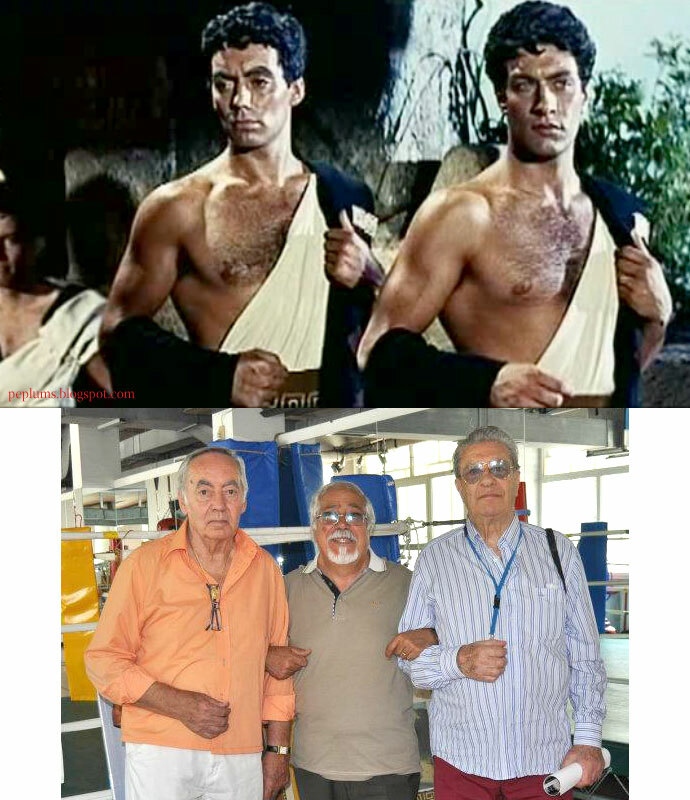 Since nearly all the actors of the main cast of HERCULES (1958) are dead, doing a 'Then & Now' is sorta difficult. But there are still a few actors still with us. Lidia Alfonsi played the Sybil in the classic film. This is the most recent photo of her. Luciana Paluzzi played Iole's handmaiden. A recent photo her. Thanks for your most impressive HERCULES tribute. I have this movie on DVD and will probably re-watch it in a few days. Indeed, HERCULES may be the best Peplum film of all time. It is euphemistic to describe Luciana Paluzzi as a "handmaiden." There were virtually no free domestic servants in the Ancient World. They were slaves; we do not need to pussyfoot around that fact. I am currently reading THE SILENCE OF THE GIRLS BY British author Pat Barker. It describes the experience of Briseis during the Trojan War. The novel has been very well received. Fans of the Peplum genre might enjoy it. Luciana was a "handmaiden" in the movie which was made long before all this PC stuff. And Hercules is hardly a "slice of reality" anyway. Your comment about pussyfooting around the facts is absurd. In my view "political correctness" about slavery - and all other subjects - must be vigorously combated. Avoiding the use of the words "slavery" and "slave" goes at least as far back as the original version of the US Constitution. The Constitution as drafted carefully avoided using the words "slave" or "slavery" while making numerous provisions for that institution.